The Series 1 Base is a standard automation platform configured specifically for tabletop operation of our standard Applicator products. The Series 1 Base provides a common platform for mounting and alignment of any PL Series Applicator and a Nest/Fixture for locating your product as the adhesive component is applied. It includes a two-hand anti-tiedown control for Operator Safety and can be configured with additional optional guard hardware if required. In addition to standard Fixtures we can provide more customized Fixtures that incorporate actuators or special devices to assist in presenting or aligning your product for assembly. 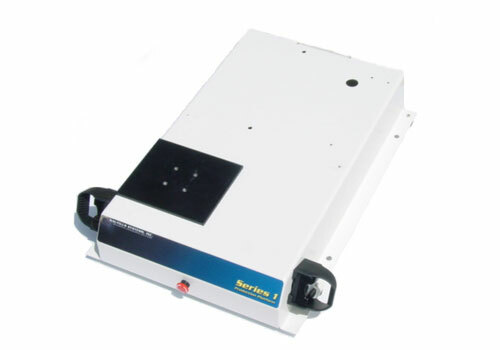 The Series 1 Base is an excellent option for low volume or semi-automated production. The Applicator can easily be removed from the Series 1 Base and used in high-volume automation when production requirements exceed the capacity of the Series 1 Base. For information about other Integration Services CLICK HERE.